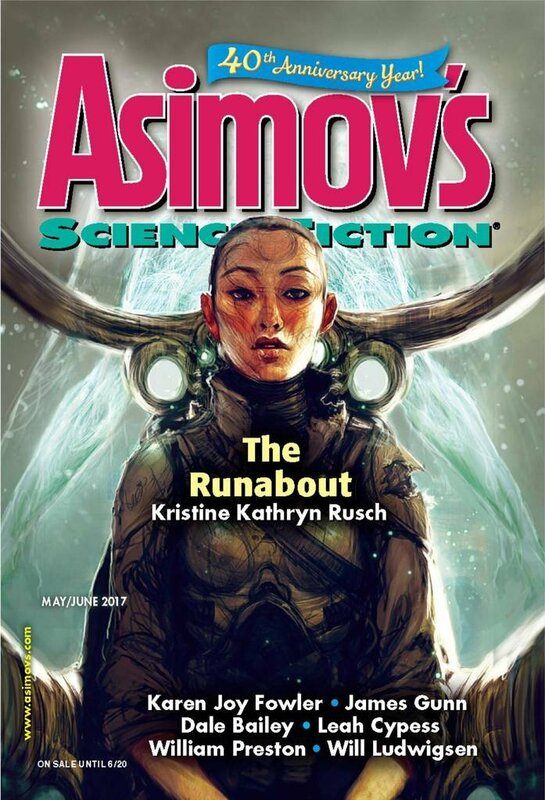 "On the Ship," by Leah Cypess [bio] (edited by Sheila Williams), appeared in Asimov's Science Fiction issue 05-06|17, published on April 20, 2017 by Penny Publications. Pro: It's a nice twist to learn that the narrator is living in simulation of the ship, that they’re exiles, not explorers, and that the narrator has made the choice to return to Earth—like the St. Louis did, long ago. Con: The science is rather weak. A ship that traveled from star to star wouldn’t be easy to turn. It’d need to refuel at each destination before it could change course. And it makes zero sense to send a manned ship to unknown planets. We’d have reports from unmanned probes long before we’d send people anywhere. Good point, but in that case, it has to be the most expensive way ever devised to get rid of people! The cost factor was what killed my suspension of disbelief. But I found it quite immersive and compelling until the end.